The Mutua Madrilena Madrid, or Madrid Open, is a professional men's and women's tennis tournament ranked one of the most prestigious competitions on the tennis circuit. You too can be sitting courtside at this exciting event and OnlineTicketExpress.com is here to make sure you get top-dollar value when you buy Masters Series Madrid tickets. This top-tier tennis tournament is a part of the ATP World Tour Masters 1000 event, held under the Association of Tennis Professionals. Getting great Masters Series Madrid tickets can be hard, but OnlineTicketExpress.com, with its exclusive access to the best seats at worldwide sporting events, offers you a large selection of Masters Series Madrid tickets at great prices. 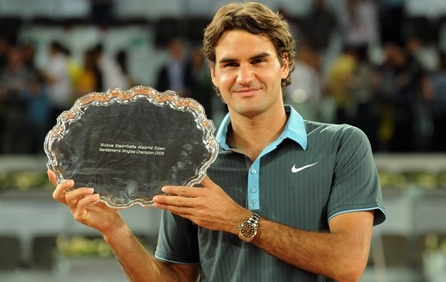 So look no further – buy Masters Series Madrid tickets here. Best Mutua Madrid Open Ticket prices in the market guaranteed! Don’t miss out Mutua Madrid Open Live Matches. Order Now Securely Your Mutua Madrid Open tickets and Get in the Game.